/ Armband NFC adjustable silicone Bracelet, NFC adjustable wristband, RFID wrist-watch style soft silicone wristband, SeabreezeRFID LTD.
RFID wrist-watch style wristbands, nice, flexible, adjustable the wristband length adjustment holes, suitable wear for different thick wrist, easy to wear, easy to use, waterbestendig, damp proof, shockproof, and high temperature resistance. Kleur: blauw, rood, zwart, wit, geel, grijs, groen, roze, enz. UHF (860MHz-960MHz): UCODE GEN2, Alien H3, Impinj M4, enz. 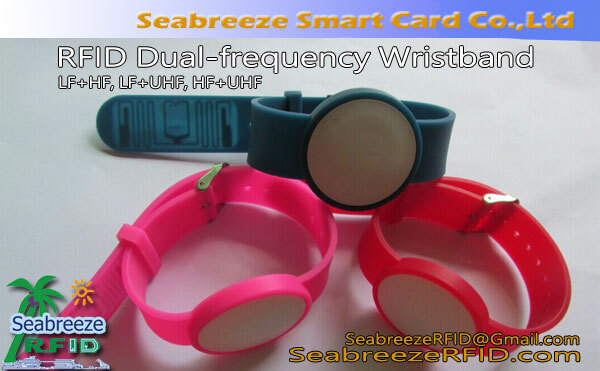 Can encapsulation two type frequency RFID chip, to achieve a variety of purposes. Surface can be silk screen pattern, LOGO, code and so on. ODM and OEM products according to customer demand. Extremely humid environments campus, pretparken, bussen, residential access control, identification, veldoperaties.